This paper studies the exponential distribution of demand obeying in time in an infinite time range. The metamorphic rate is a three-parameter Weibull distribution of multi-variety perishables combined replenishment inventory model, and the goal is to determine the replenishment cycle of each product. The total cost of the retailer is minimized per unit time. 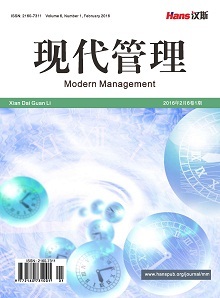 The difficulties in this paper are as follows: First, determine the inventory holding cost and deterioration cost during the deterioration of the item; secondly, because the joint replenishment problem is an NP HARD problem, the model is complex and difficult to solve. According to the above difficulties, this paper firstly simplifies the Taylor expansion of the exponential and logarithmic functions existing in the model, and uses the differential evolution algorithm in  to obtain the optimal solution. Retailers for perishables provide useful management advice when implementing joint replenishment. Chen, X., Pang, Z. and Pan, L. (2014) Coordinating Inventory Control and Pricing Strategies for Perishable Products. Operations Research, 62, 284-300. 邹广峻, 傅少川. 随机需求下多品种易腐品的联合补货优化[J]. 管理科学与工程, 2018, 7(1): 9-19. Ghare, P.M. and Schrader, G.H. (1963) A Model for Exponentially Decaying Inventory System. Journal of Industrial Engineering, 14, 238-243. Covert, R.P. and Philip, G.C. (1973) An EOQ Model for Items with Weibull Distribution Deterioration. AIIE Transaction, 5, 323-326. 陈六新, 李军, 谢天帅. 价格和库存均影响需求的易腐品模型[J]. 商业研究, 2009(5): 39-43. 文晓巍. 通货膨胀下非常数变质率的易变质商品的EOQ模型[J]. 系统工程, 2011, 29(7): 54-58. 冯海荣, 李军, 曾银莲. 延期支付下的易腐品联合采购费用分配[J]. 系统工程理论与实践, 2013, 33(6): 1411-1423. 王道平, 于俊娣, 李向阳. Weibull变质率和短缺量拖后的易变质物品EOQ模型[J]. 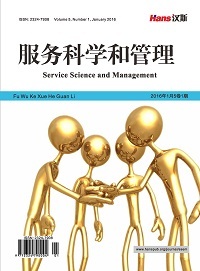 数学的实践与认识, 2011, 41(7): 73-79. 彭扬, 陈金叶, 傅培华. 时变需求下基于部分预付策略的易腐品库存控制[J]. 系统工程, 2016, 34(3): 19-24. 贾涛, 郑毅, 常建龙. 两级商业信用下存在顾客预付的易腐品库存模型[J]. 中国管理科学, 2013, 21(6): 80-87. 冯颖, 蔡小强, 涂菶生, 李勇建. 随机需求情形下单一易变质产品库存模型的订购与定价策略[J]. 南开大学学报(自然科学版), 2010, 43(2): 106-112. 王林, 顿彩霞, 张金隆. 基于混合差分进化算法的联合补货–配送优化模型[J]. 中国管理科学, 2012, 20(3): 86-93. Khouja, M. and Goyal, S. (2008) A Review of the Joint Replenishment Problem Literature: 1989-2005. European Journal of Operational Research, 186, 1-16. 艾学轶, 张金隆, 徐浩轩, 王林. 需求依赖于变质时间的非立即变质品联合补货优化[J]. 控制与决策, 2018, 33(4): 1-7. Tsao, Y.C. (2016) Designing a Supply Chain Network for Deteriorating Inventory under Preservation Effort and Trade Credits. International Journal of Production Research, 54, 3837-3851. Eynan, A. and Kropp, D.H. (2007) Effective and Simple EOQ-Like So-lutions for Stochastic Demand Periodic Review Systems. European Journal of Operational Research, 180, 1135-1143. 艾学轶, 张金隆, 徐浩轩, 等. 需求依赖于变质时间的非立即变质品联合补货优化[J]. 控制与决策, 2018(4): 671-678.